The success of a BIM enabled project delivery process is highly dependent upon the level at which the entire Design/Construction Team can collaboratively produce and manage information for the duration of the project. This section documents some of the management procedures that can be used for this purpose. In the absence of existing documented information management standards or often refered to as the Common Data Environment (CDE) mandated by the client, the BIM Team shall nominate the Common Data Environment (CDE) Standard to be used on the project. Any amendments considered necessary to these standards must be documented. When the CDE Standard and amendments have been agreed by the BIM Team they shall be adopted and managed for consistent application by the BIM Manager. 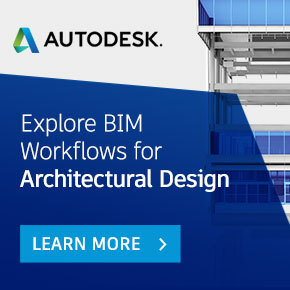 This guide describes the use of a CDE aligned to the UK BS1192 series of ‘BIM’ standards which have been recognised internationally as at the forefront of describing good information management on design and construction projects. The principles of a CDE are common to most BIM approaches but the details may need to be adapted to local standards. Ideally a CDE should operate in a client’s management system, accessible by the whole project team which supports version control and audit trails; that can permission control access to data according to the status of the data and which provides tools to support design coordination. A Windows server network folder or FTP setup e.g. the J drive, is a poor foundation for a CDE. Version control and audit trails are manually managed and it does not easily allow access by 3rd parties. Often the ‘WIP area is located on the J drive whilst the project-wide ‘Shared’ area is hosted externally and manually mirrored to the J drive. The purpose of a Common data Environment (CDE) protocol is to serve as a common standard for establishing a standard document numbering, formatting and handling for project documents and data on the project. The intention of a CDE is to establish a common way of handling, collecting, filing and storing information and data related to projects across a business. Once implemented, this solution will provide a collaborative platform that will be used to implement comprehensive and automated reporting on projects at a project and business unit level. It will also provide the platform for the future development of our project information management systems that can integrated directly into a CAFM system. Project “standard method and procedure” should be developed agreed and committed to by all the relevant Parties involved in the project at the pre-construction contract stage.